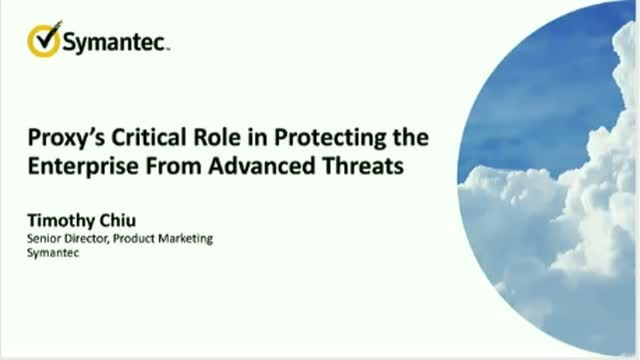 Solving the most sophisticated security challenges requires an advanced approach that is built upon a proxy-based architecture. This approach allows you to leverage best of breed security technologies to provide a safe and confident cloud and network experience. Symantec secure web gateway solutions deliver strong proxy-based security in the form factor your organization needs: on-premises appliance, virtual appliance, in the cloud, or in a unified hybrid combination of these solutions. The solution’s unique proxy architecture allows it to effectively monitor, control, and secure traffic to ensure a safe web and cloud experience. • Why pre-filtering your sandbox with proxy architecture is a smart move for both your SOC and your bottom line.